Welcome to the IslandWood Garden! : What's growing in the garden? Team Wave wearing stylish and edible pea hats!! Everything is growing in our IslandWood garden--including the children! Team Wave from Sheridan Elementary School in Tacoma, Washington, enjoyed sampling garden veggies, wearing garden veggies and planting garden veggies. A fun, full morning in the garden. This past Spring our SOP students have been helping us plant seeds in the greenhouse. 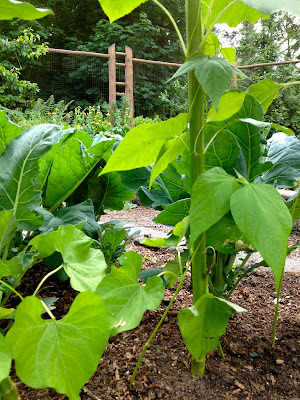 Those seeds have grown into beautiful vegetable starts, which have all now been transplanted out into the garden. The garden is looking so lovely and growing so rapidly, we just had to share a few pictures. Fresh garden broccoli tastes amazing! The kale have outdone themselves with huge tasty leaves! 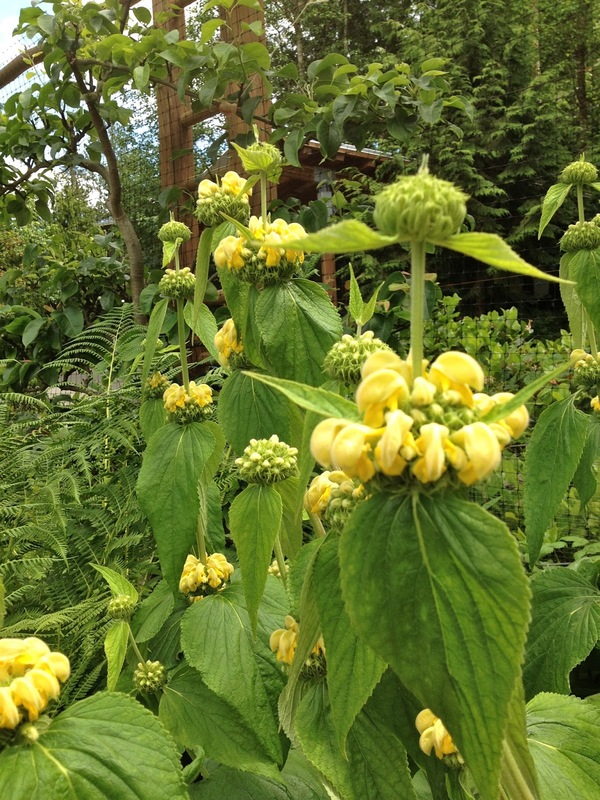 The students have discovered that a drop of honey lives at the base of each Jerusalem Sage blossom--yum! Here's to fresh and delicious garden food! Love this!! Wow, look at that beautiful chioggia beet...so awesome. Looks like so much fun, with an amazing crew :) Great job Nature Chefs!